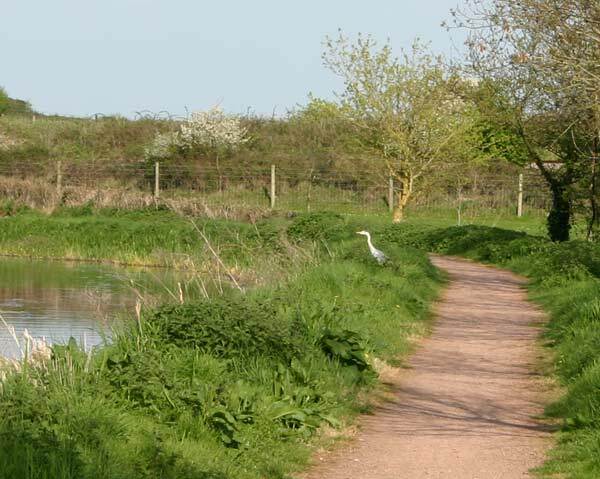 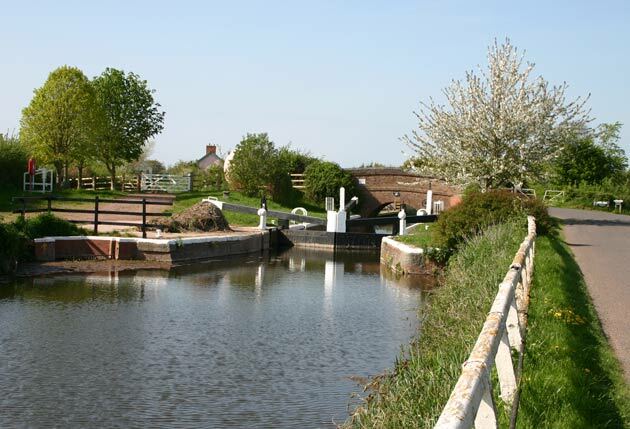 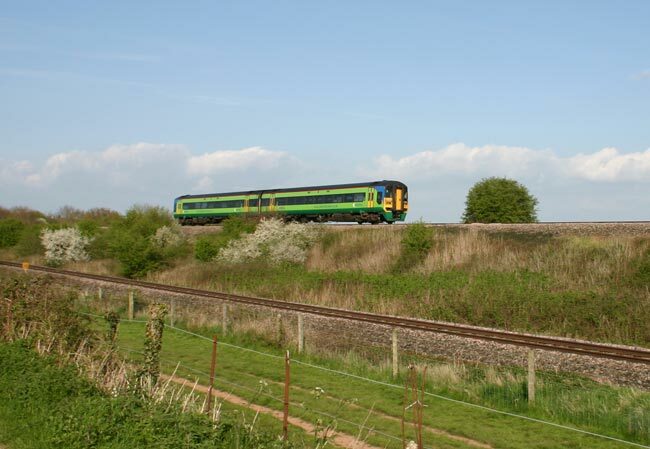 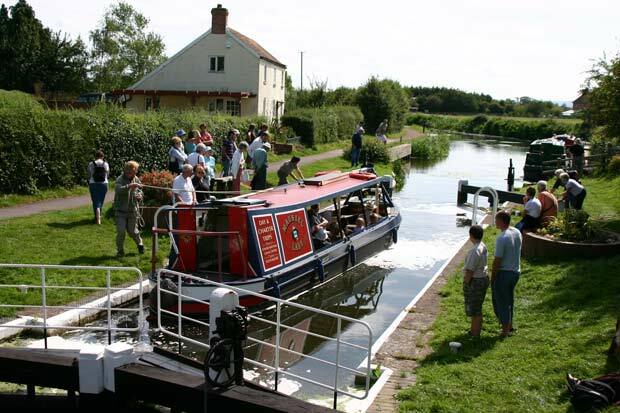 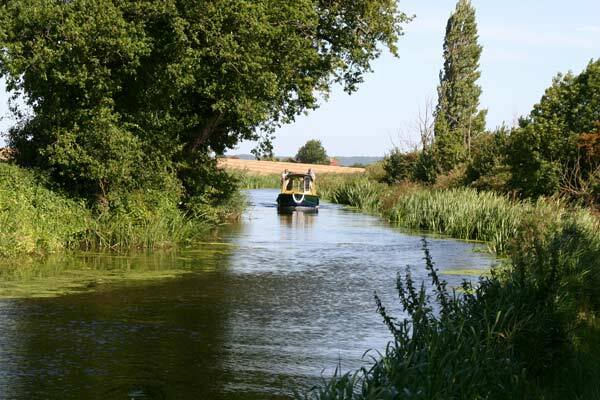 The Bridgwater and Taunton Canal links the towns in its name through some lovely Somerset countryside, this page includes views along its length, only one lock not yet included! 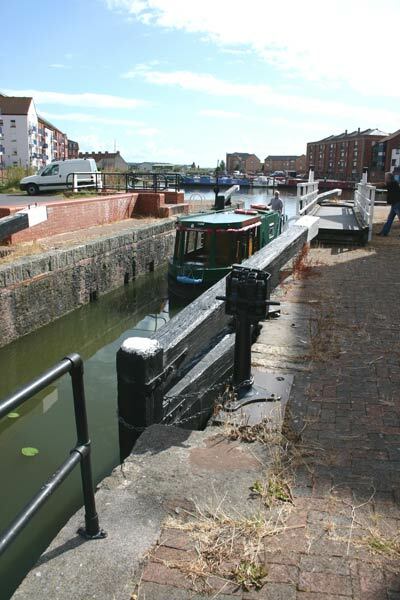 The canal starts from Bridgwater Docks which have their own page, this one starts with a boat leaving the docks and passing through the lock into the canal. 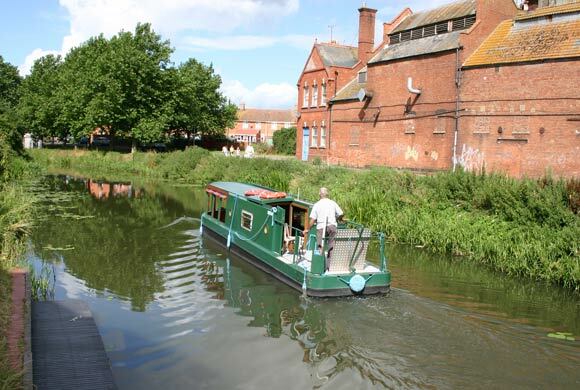 The Peggotytom does trips on the canal further up. 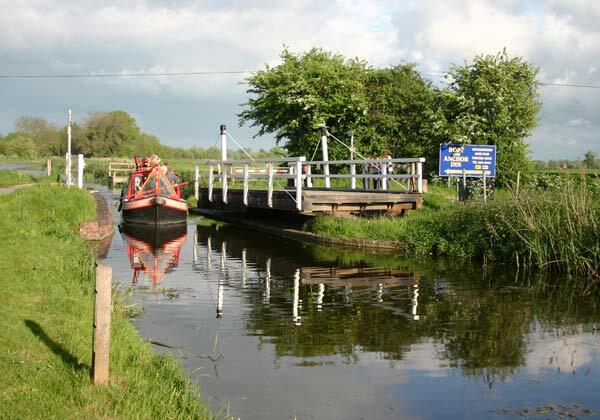 Another view of the Peggotytom as she heads up the canal. 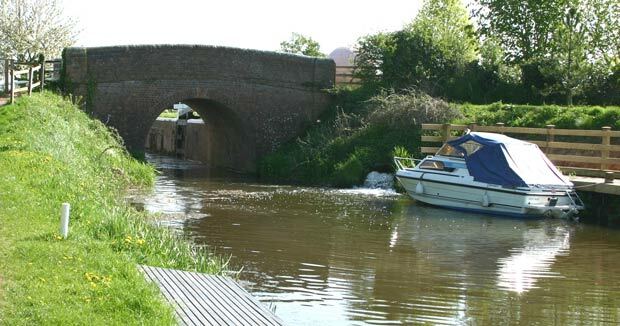 Two views of the swing bridge at Huntworth showing it being opened for a narrow boat to pass through towards Bridgwater. 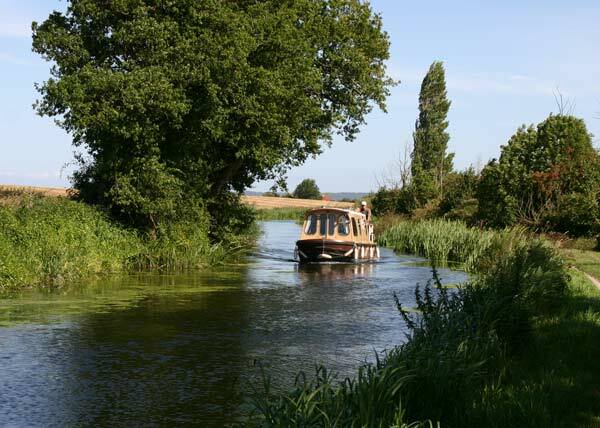 Two photos of boats on the Canal between Fordgates and North Newton. 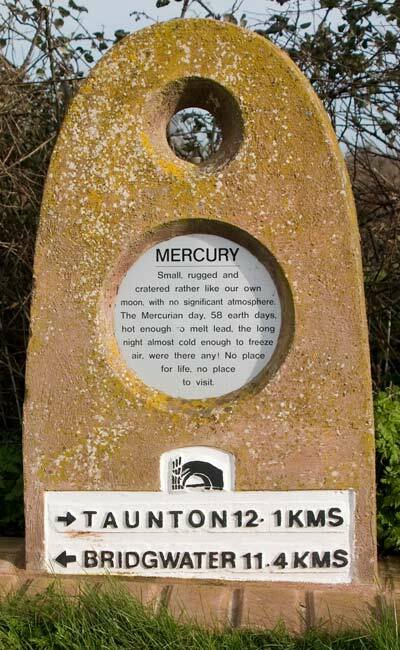 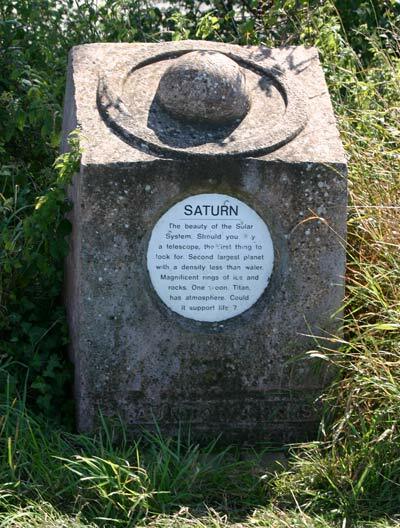 Along the canal are markers depicting the planets at scale distances from the "Sun" at Maunsel Upper Lock, this one is "Saturn", a fair walk away from the "Sun"! 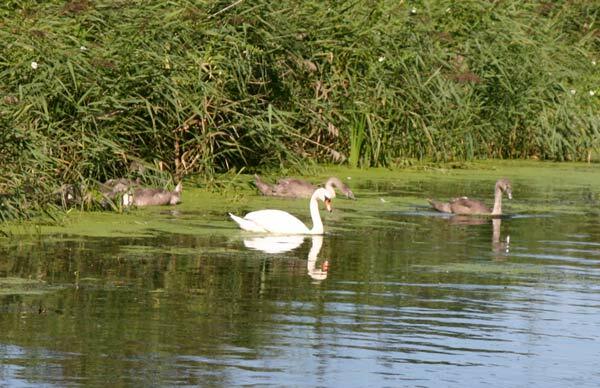 Nearby we saw this family of swans with seven cygnets. 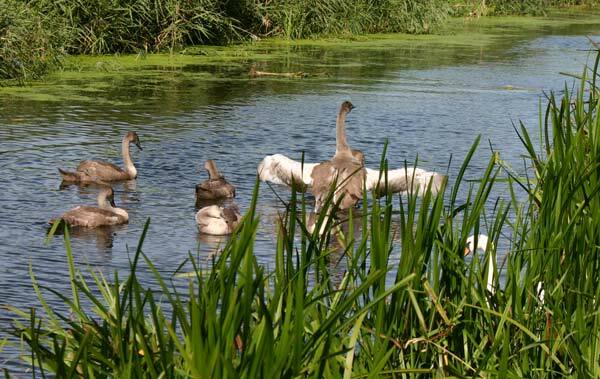 They came over to investigate us when we first passed, on the way back they objected to our passing and the cygnets took it in turns to practice trying to drive us away. 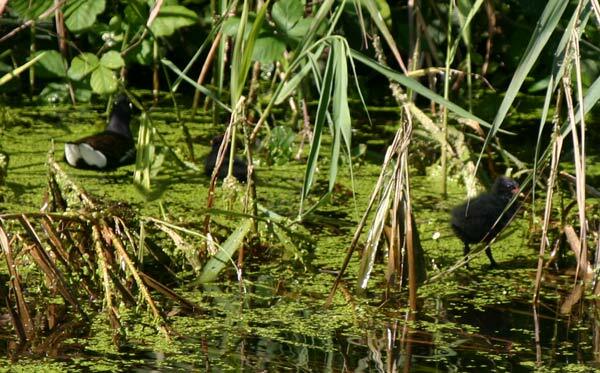 Also nearby was this family of Moorhens, an adult and two chicks can be seen in this photo part hidden in the reeds. 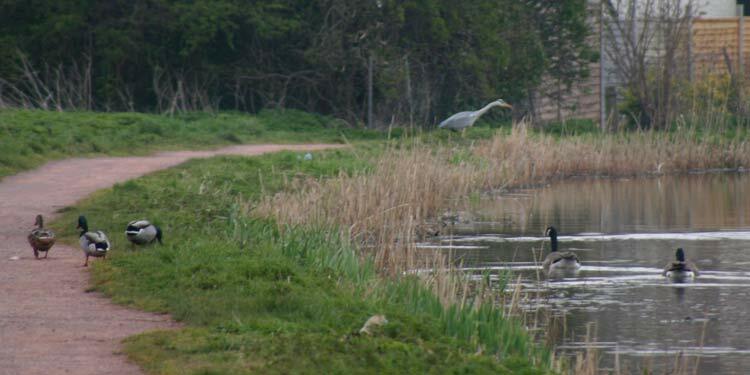 One youngster was light enough to stand on the weed but the other was in the water. 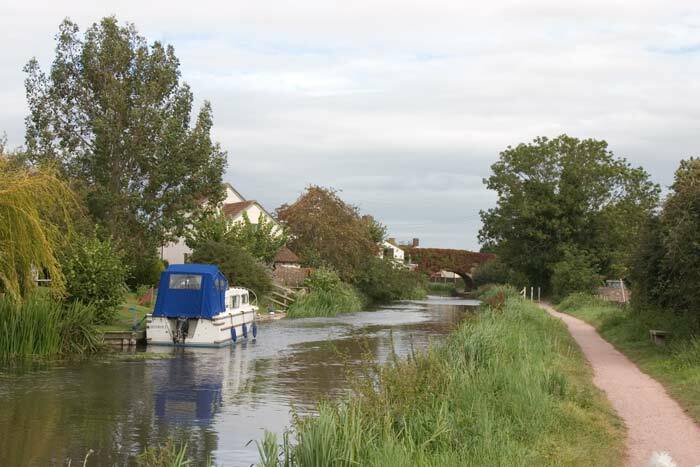 Three views of Kings Lock, near North Newton. 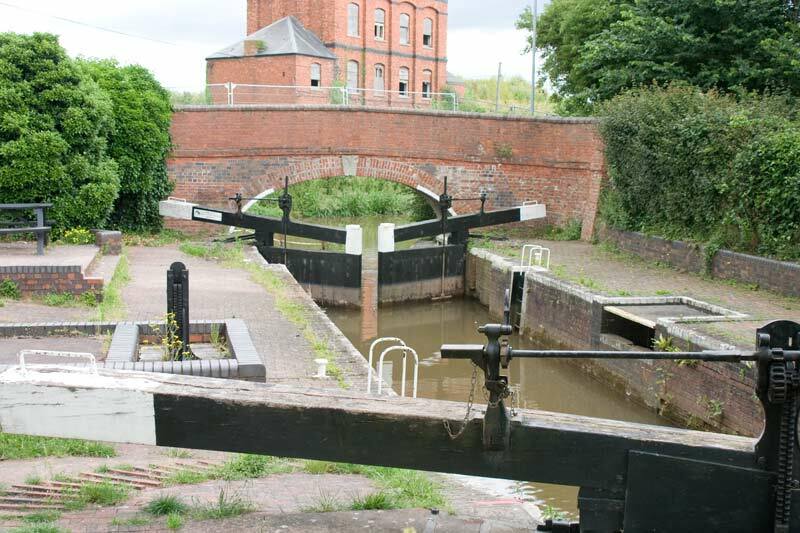 The locks on this canal have to be left empty with the bottom gates open. 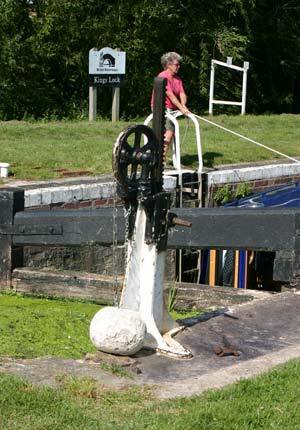 An unusual feature of this canal is the counter weights for the paddles at the locks as seen in this photo at Kings Lock. 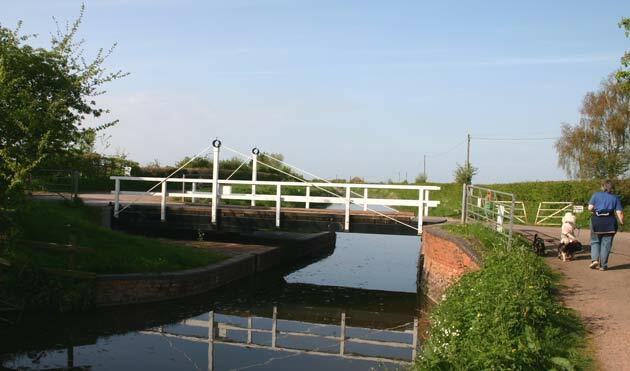 Another of the canal's swing bridges, this one is on the edge of North Newton between Kings and Maunsel Lower Locks. 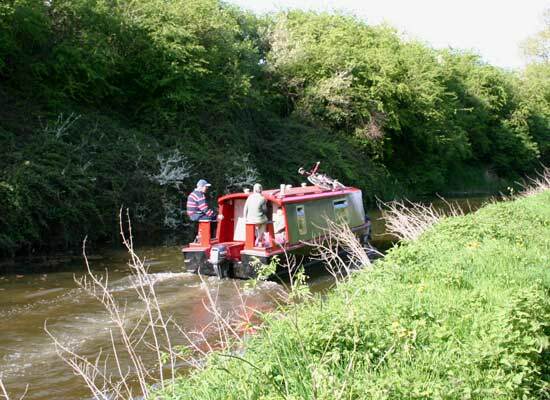 The "Maunsel Lady" on a trip down the canal. 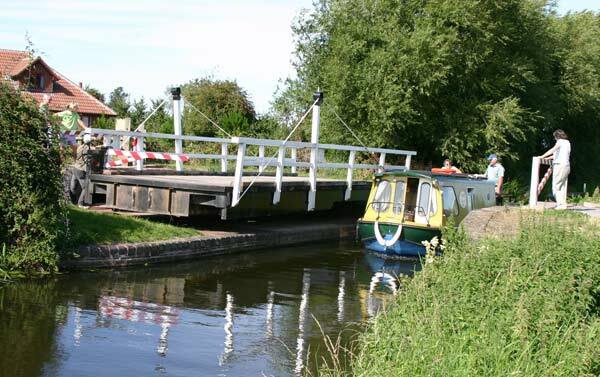 Problems had apparently delayed weed cutting which makes this stretch - between the swing bridge above and Maunsel Lower Lock - look rather narrow in this photo. 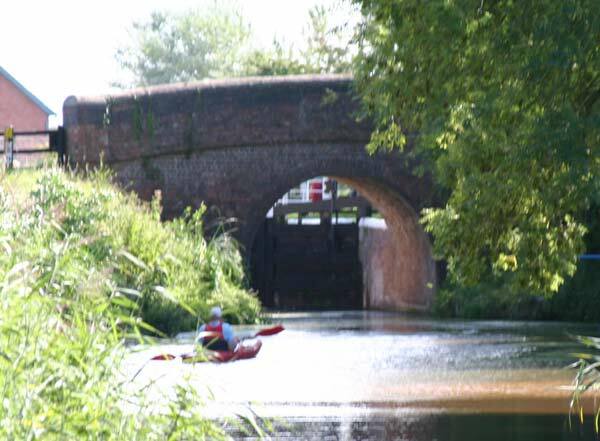 Maunsel Lower Lock viewed through the adjacent bridge with a canoeist enjoying an afternoon on the canal. 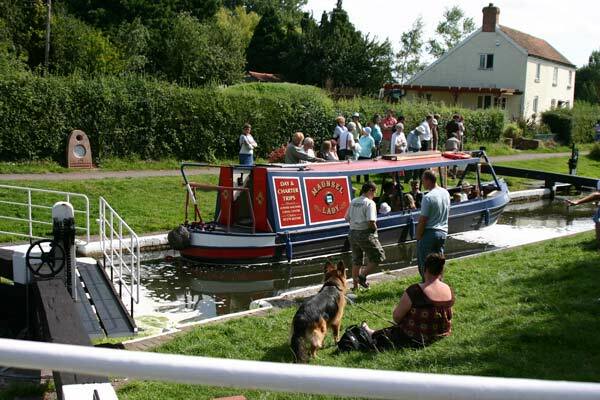 "Maunsel Lady" making her way through Maunsel Lower Lock and heading up the canal towards the Upper Lock. 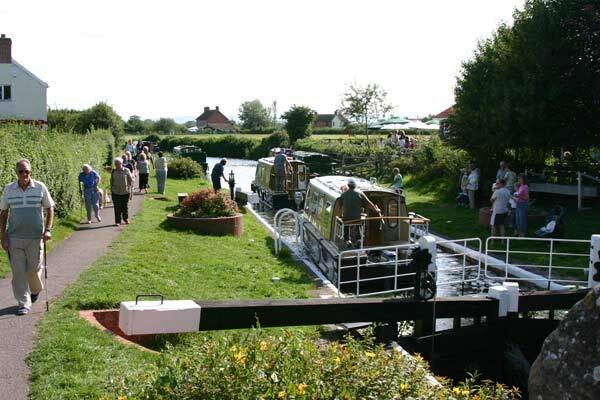 Two boats that have featured in some of the photos above making their way through Maunsel Lower Lock. 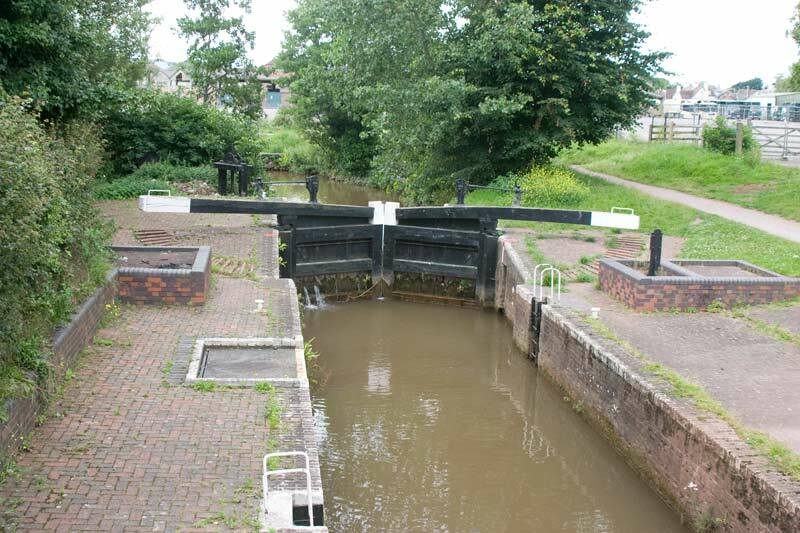 There is a tea room by this lock, a nice place on a sunny day to watch the world go by at the leisurely pace of a canal. 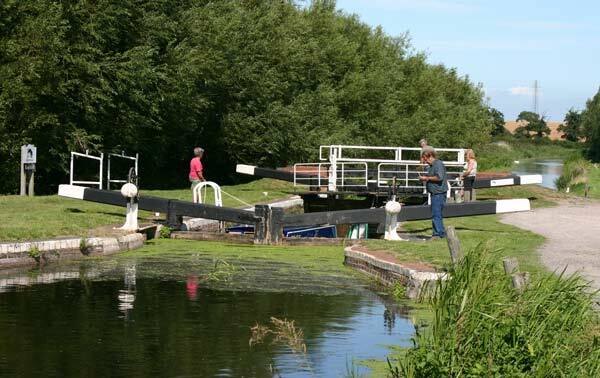 Maunsel Upper Lock is also adjacent to a bridge through which this photo was taken. 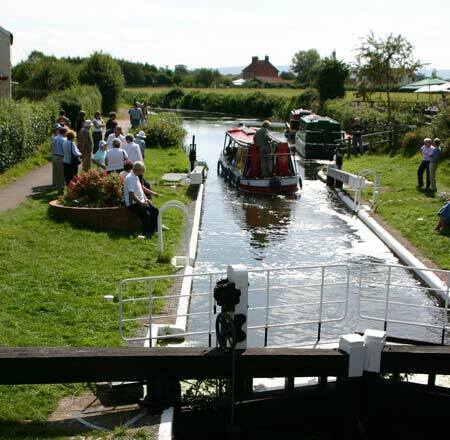 Two views of a boat making its way up through Maunsel Upper Lock. 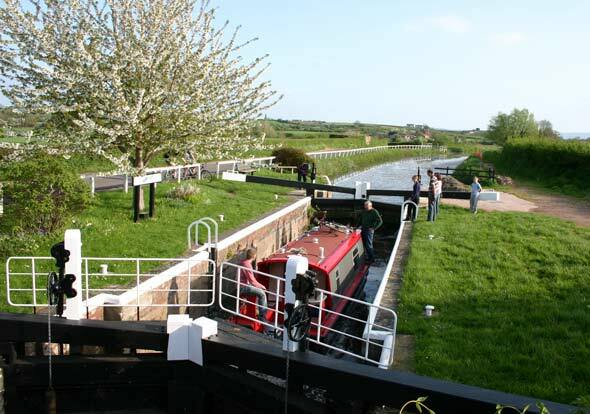 Maunsel Upper Lock seen from the other end, the large orange globe represents the sun. 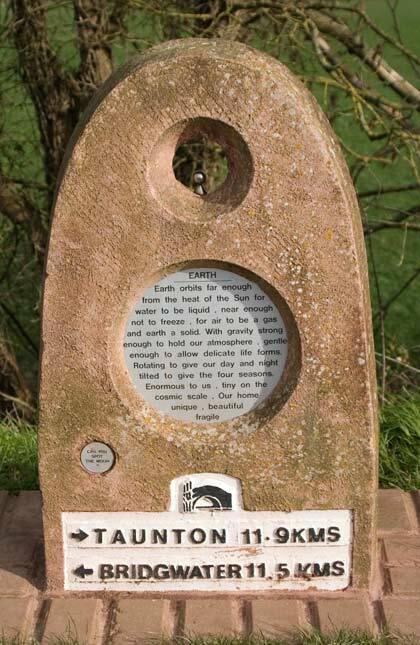 This is the mid point on the canal and there are scale models of the planets at scale distances from this sun in both direction along the towpath - after Mars they're a long way apart! 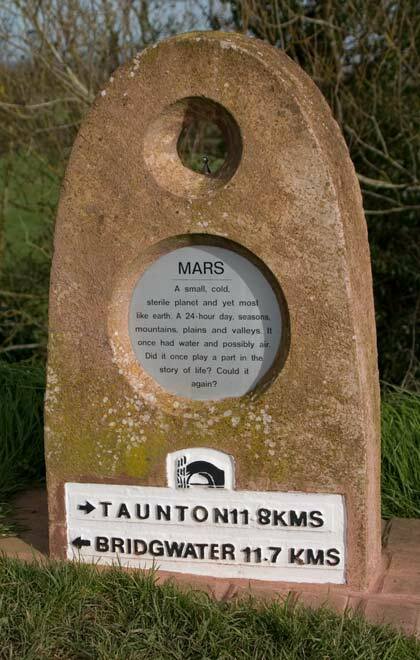 The markers for the Inner Planets come close together on the stretch between Maunsel Upper Lock and Outwood - Mercury, Venus, Earth and Mars are seen here. 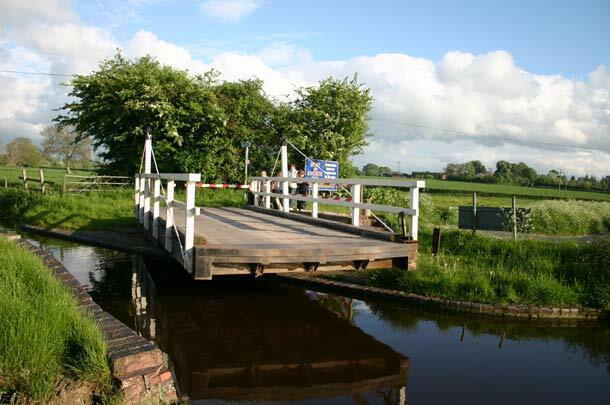 Another of the canal's swing bridges, this one is at Outwood. 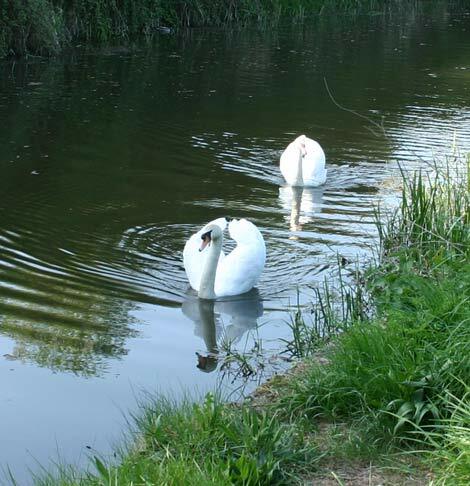 A pair of swans patrolling their stretch of the canal. 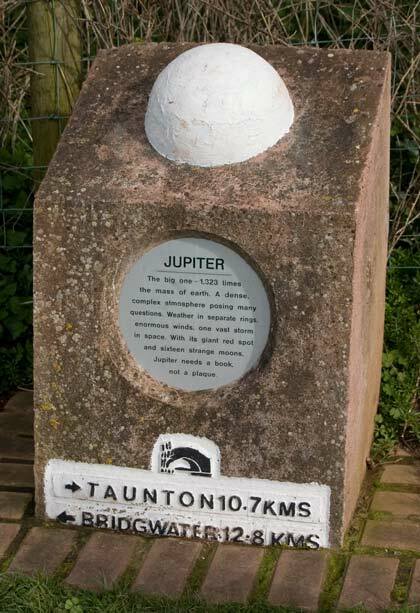 The next marker is that for Jupiter, a much longer gap than that between the previous ones - the plaques give details of actual distances. 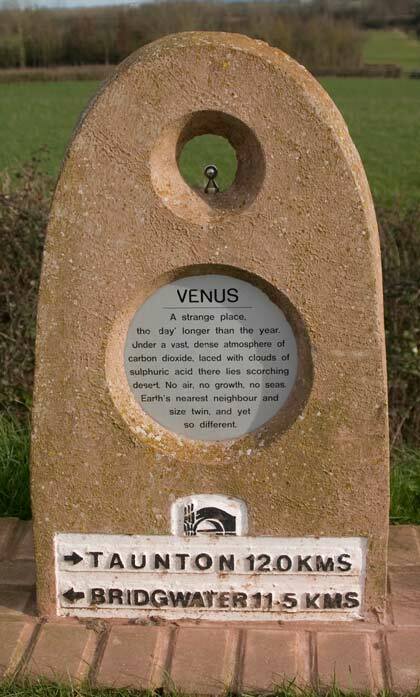 All of them have a "scale model" of the planet on the top, compare Jupiter with the Inner Planets above! 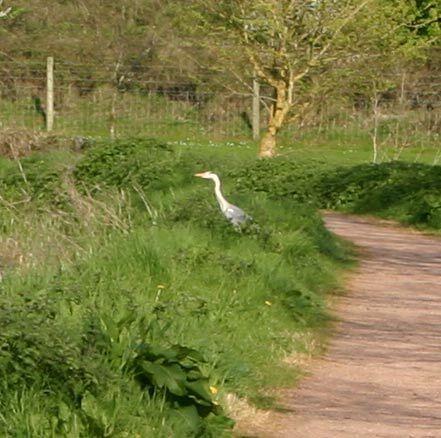 Two views of a heron looking for his tea from the bank of the canal near Cogload. 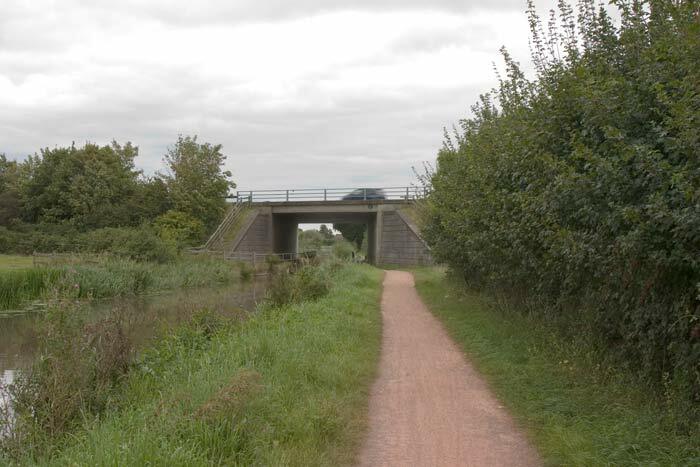 Close to the canal is a flyover as part of Cogload railway junction. 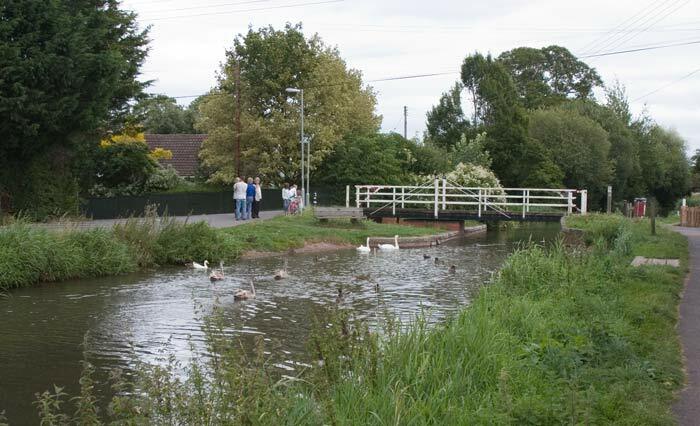 Two views of the canal in Creech St. Michael, there's a lot of houses in the village with gardens down to the canal. 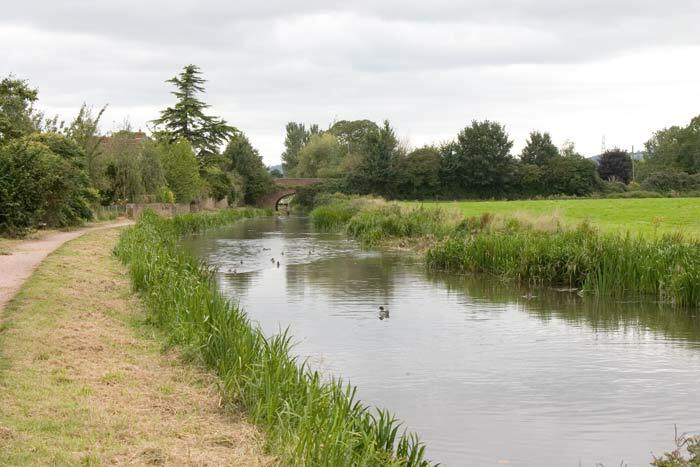 The Chard Canal joined the Bridgwater & Taunton at Creech, this is its course across the fields. 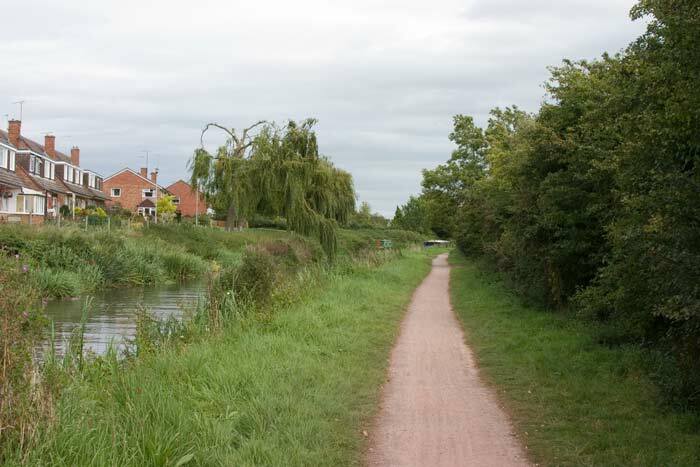 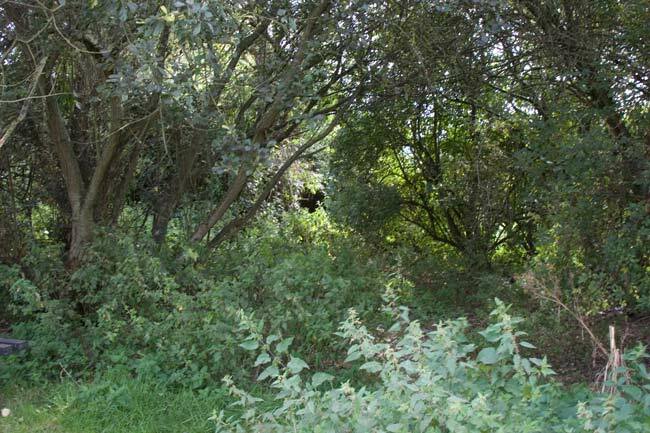 The old canal bed is completely overgrown as can be seen in this view from the towpath of the B&T. 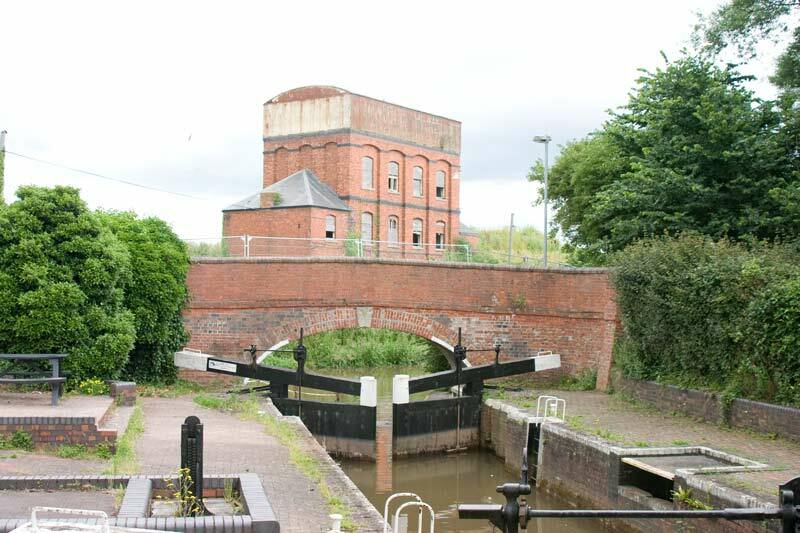 Beyond the old canal junction and more canal side houses. 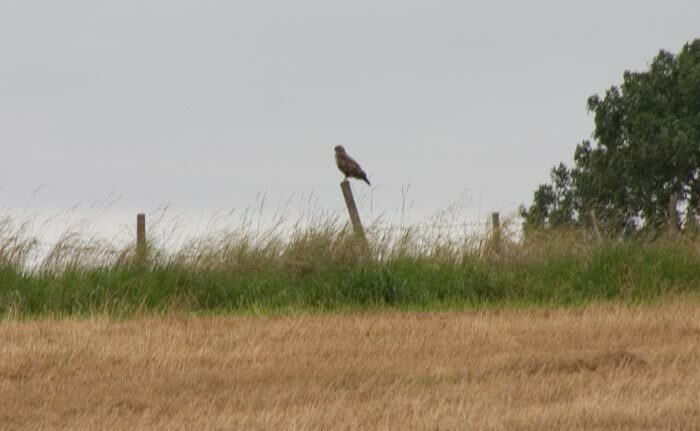 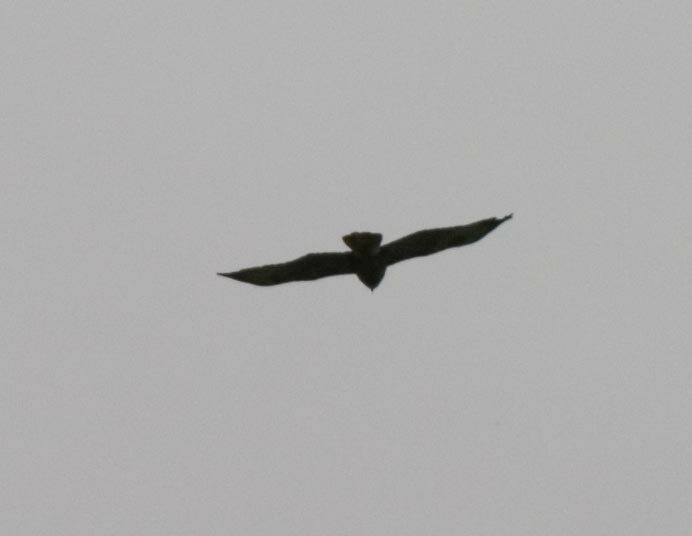 A buzzard was sat on a fence post by the canal left then he took off and flew ahead of us towards Bathpool. 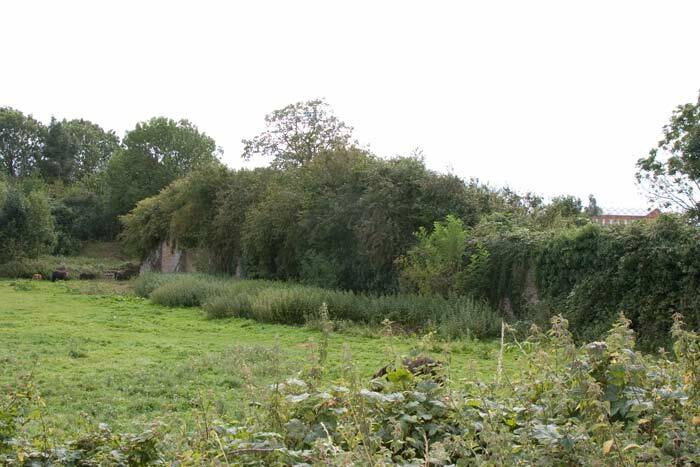 ...which contrasts with this old brick arch one carrying a country lane nearby. 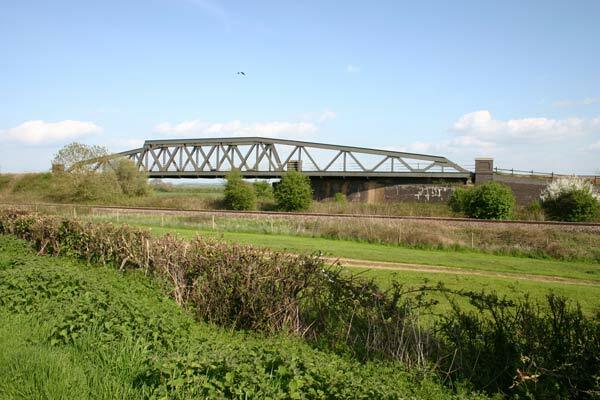 The next bridge along carries the M5's "predecessor" the A38 across the canal at Bathpool. 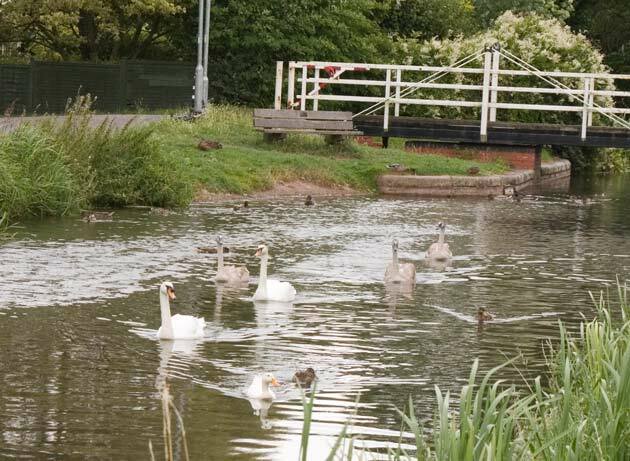 Past the A38 and one of the many swing bridges over the canal which here is "home territory" for this family of swans. 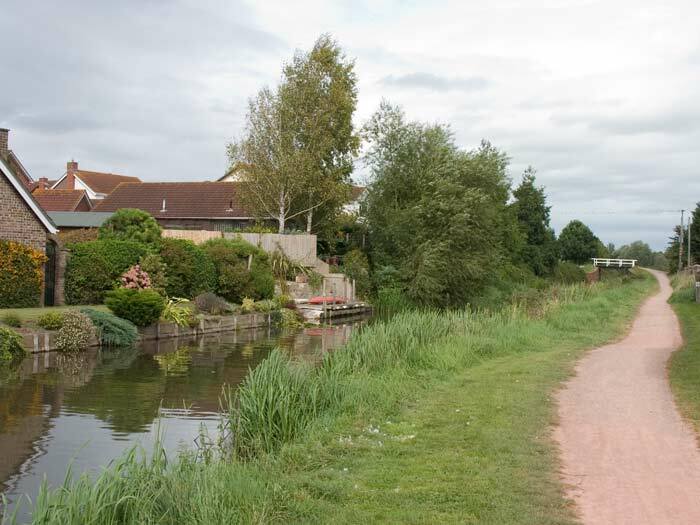 Moving on a bit further towards Taunton these is this wider section of the canal which offers room for a number of moorings. 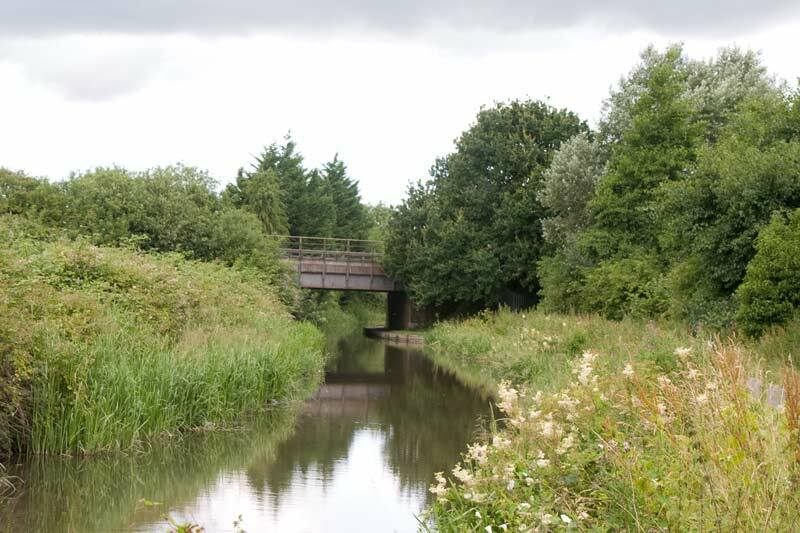 Closer to Taunton the canal passes under the railway line, quite a long bridge as the railway has four tracks here. 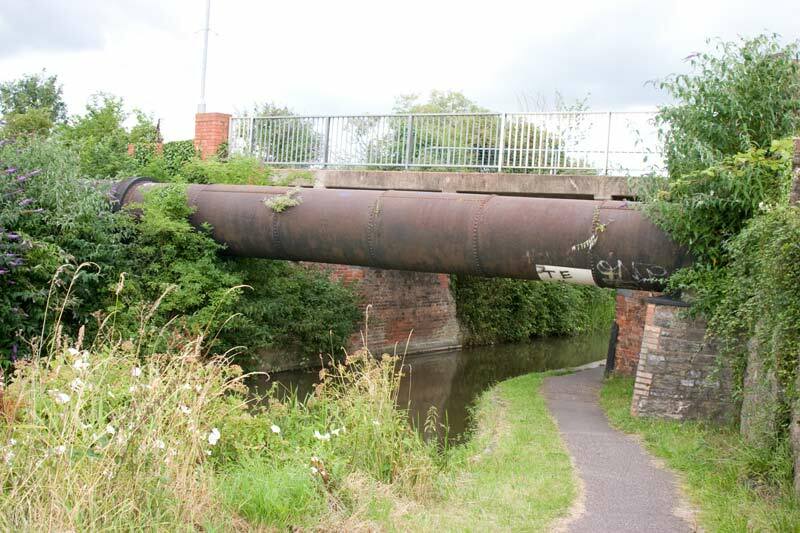 Nearer still to the town centre is this bridge, which now carries a foot and cycle path. 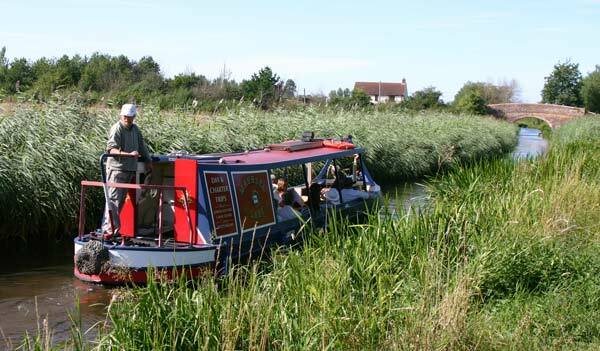 The pipe is low enough for me to have to duck to get under it but still leaves the necessary clearance for canal boats. 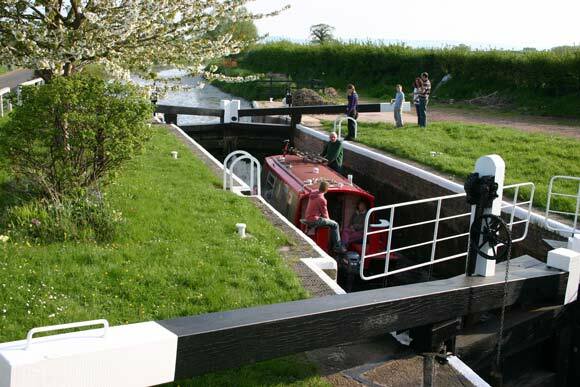 Firepool Lock at the end of the canal. 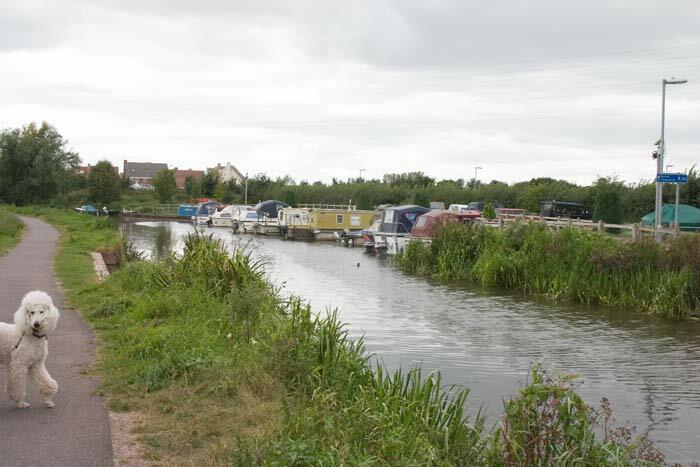 Beyond this is the River Tone in the centre of Taunton, boats can go up the river through the town as far as French Weir. 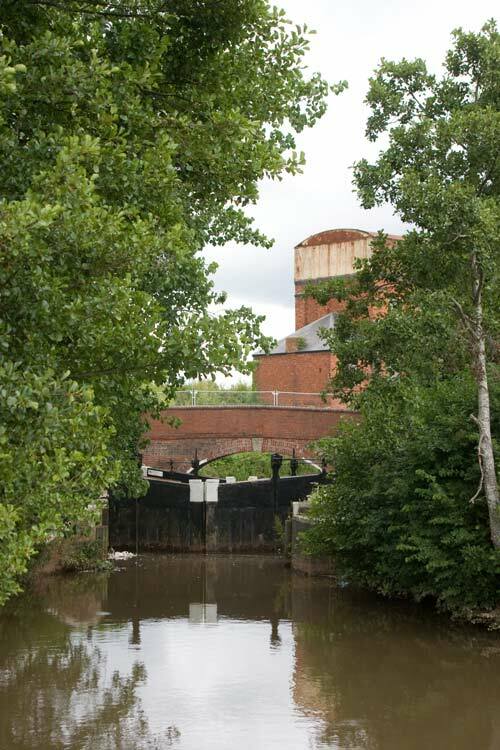 Firepool Lock looking east with the old railway water tower in the background. 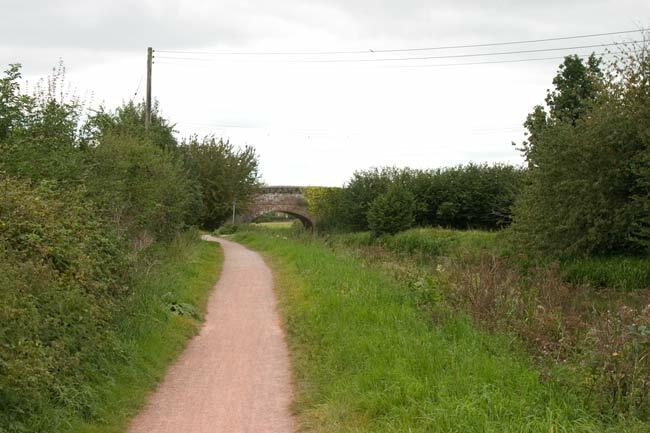 The area around here is shortly to be redeveloped following the closure of the cattle market and railway goods depot. 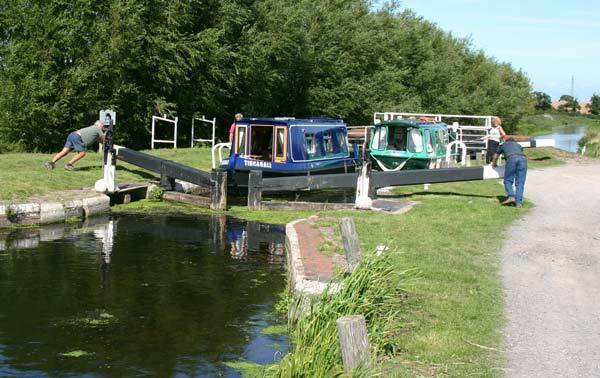 Two views of Firepool Lock from the banks of the River Tone. 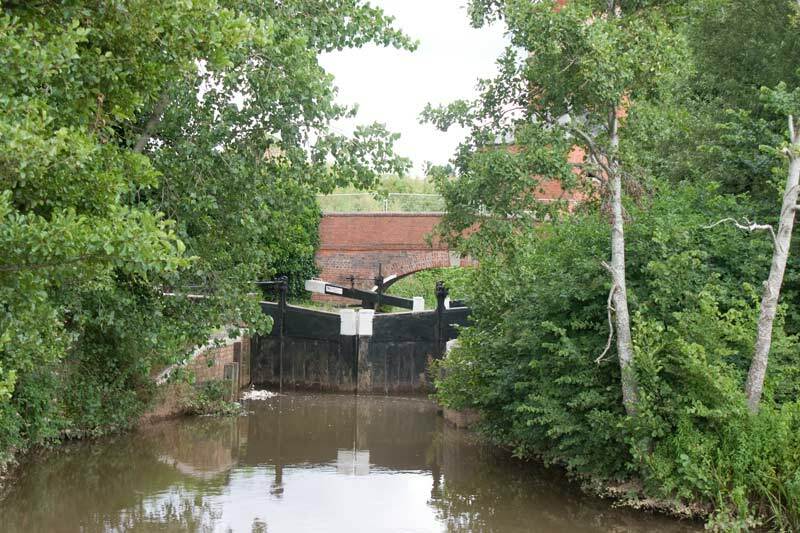 All the water for the canal (and much of Bridgwater's water supply) comes from the river via a sluice here. 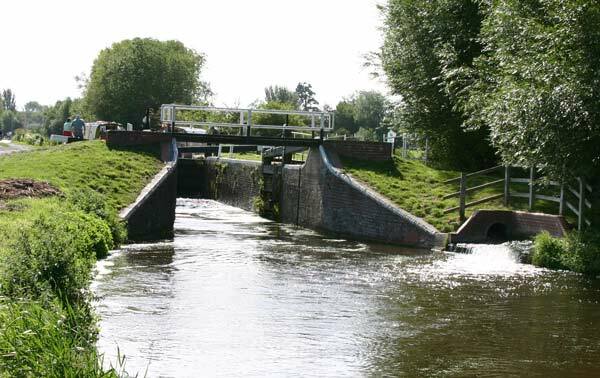 These sluice gates next to the lock control the level of the River Tone above Firepool and up to French Weir, the other side of the town. 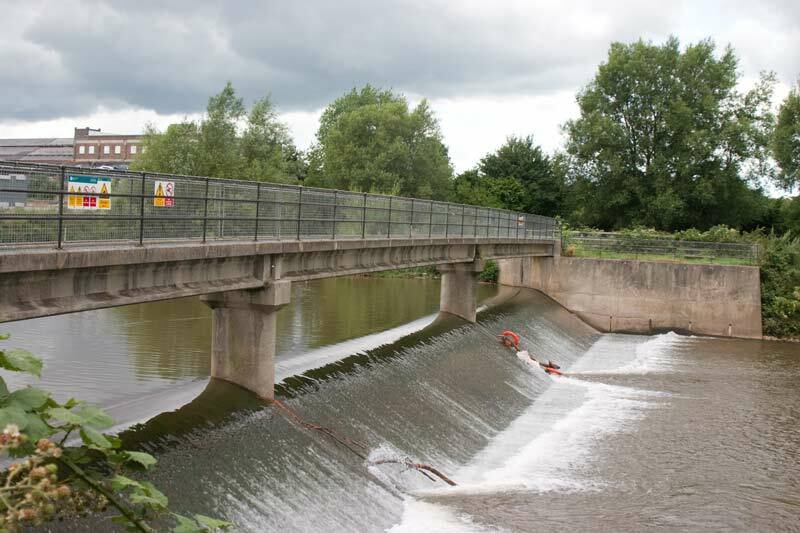 Firepool Weir itself seen from across the river to the canal. 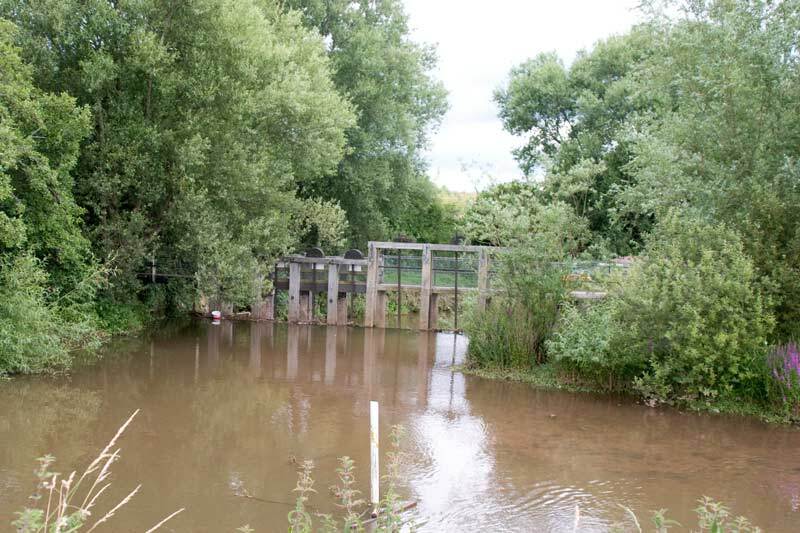 The bridge over the weir has been shut for several years now, no funds to repair it I assume. 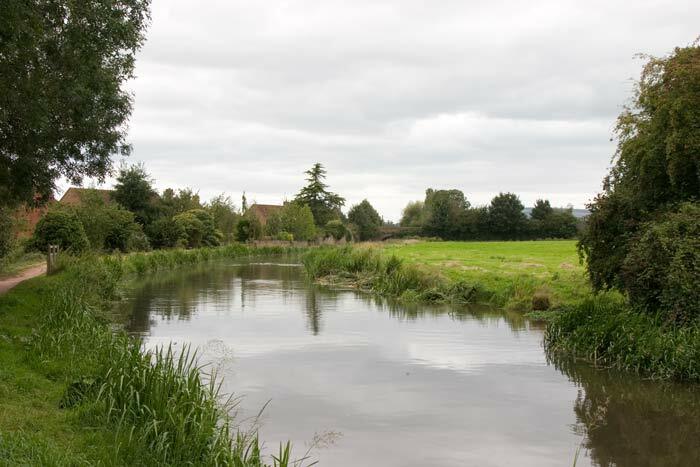 Away from the canal proper, looking up the River Tone towards Taunton. 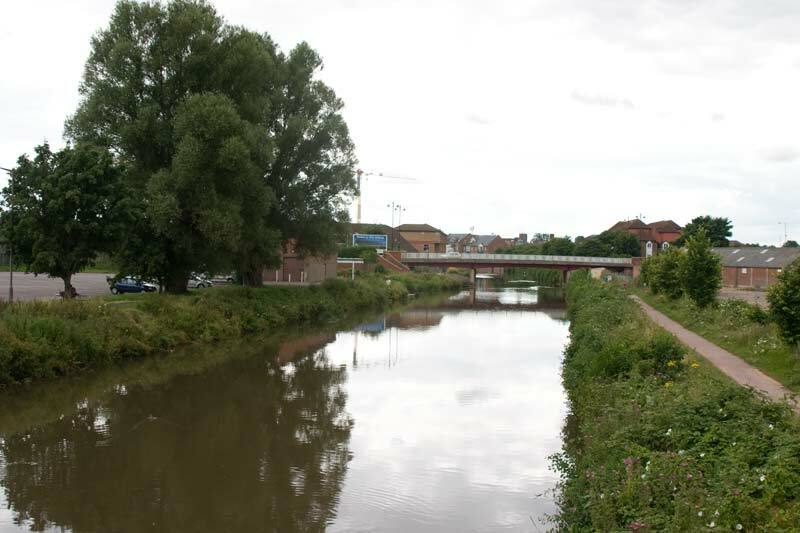 The bridge is an access to the former cattle market (on the right) which is soon to be redeveloped with offices, flats and a hotel.